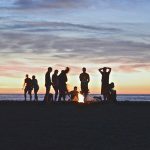 Let Towns County Tourism in Georgia be your Guide! Spring is a time of renewal and birth. The trees and plants that have been patiently awaiting warm weather wake up to spring rains and sunshine. And, although spring comes a little bit later in the mountains of North Georgia than in other parts of the State, the length of the season is absolutely breathtaking. Beginning in late March with the Silverbell trees dotting the hillsides and continuing through early June with the gorgeous blooms of the native rhododendrons, there is no better place to be than outside enjoying Springtime in Towns County. A favorite destination for visitors to Towns County is Hamilton Gardens at Lake Chatuge – Located on the shoreline of Lake Chatuge in Hiawassee this woodland garden paradise, covering 33 acres, is the largest collection of rhododendrons in the southeast. Trilliums, shooting stars, wild ginger, trout lilies, and Solomon’s seal are just a few of the special plants found in the gardens. But what makes this garden really special are the more than 1,500 rhododendrons and native azaleas within its boundaries. 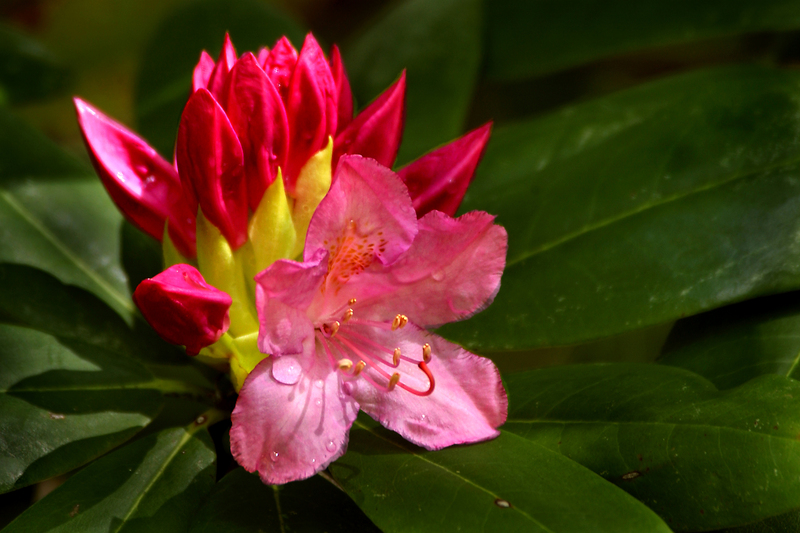 There are as many as 400 varieties of rhododendrons in this collection. The bloom season appears regularly from mid-April to mid-May and offers a spectacular visitor experience. Hamilton Gardens at Lake Chatuge is located at the northeast end of Georgia Mountain Fairgrounds and is open daily. No admission fee is charged but donations are appreciated. A favorite springtime event is the Georgia Mountain Eggfest held in May each year, also at the Georgia Mountain Fairgrounds. 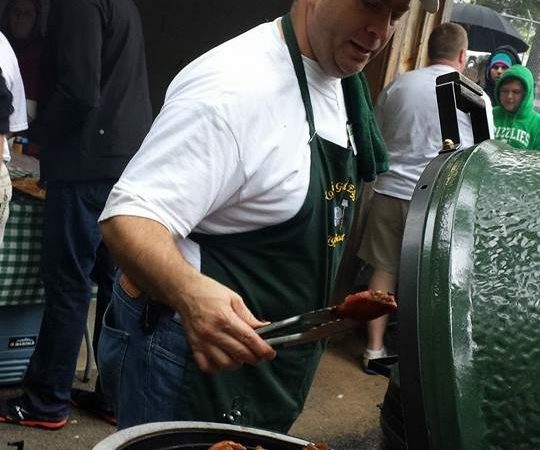 This event hosts approximately 100 big green egg cooks from all over the world making specialty dishes to share with “tasters” who visit the festival. Competition is fierce among the green eggers who can whip up everything from candied bacon on a stick to shrimp and grits. The recipes are endless on these unique grills and one of the greatest byproducts of this event is that the recipes are shared with the public! Also featured at the Georgia Mountain Egg Fest is the opportunity to buy green eggs at a discounted price. 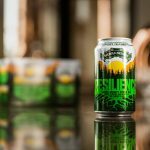 Held normally around the 3rd Saturday in May, tasters may buy tickets in advance or on the morning of the event. And, don’t forget to get out on the trails with your family this Spring! The Appalachian Trail which crosses two times in Towns County is a great choice for all levels of hikers and many hike these sections while visiting the northeast Georgia mountains just to be able to say “I hiked part of the AT”. 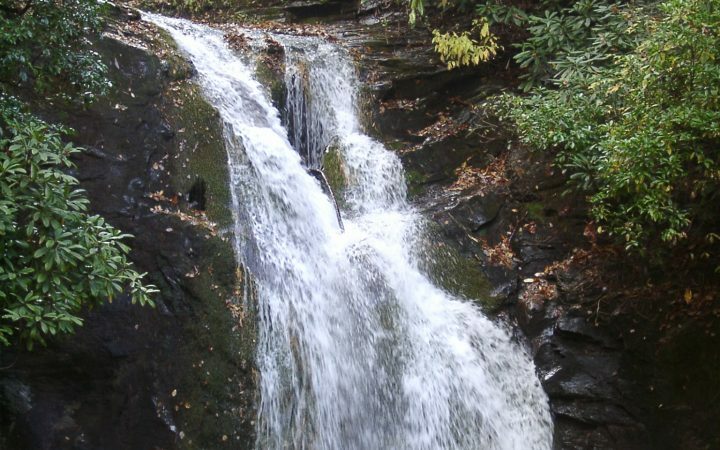 Other trails in the County lead to beautiful waterfalls, one of which is High Shoals Falls – an easy to moderate 1.2 mile hike through dense forest to beautifully crafted viewing platforms. A succession of five waterfalls graces this 170-acre scenic area. These falls have an estimated total vertical drop of 300 feet.